Zach Pruitt, Assistant Tennis Coach at Carleton and Coordinator of the Northfield Healthy Community Initiative, sent me this photo of some of the kids who were at this week’s Skateboard Coalition meeting at The Key. The HCI board has issued a challenge grant to support the youth-led effort to bring a skate plaza to Northfield. 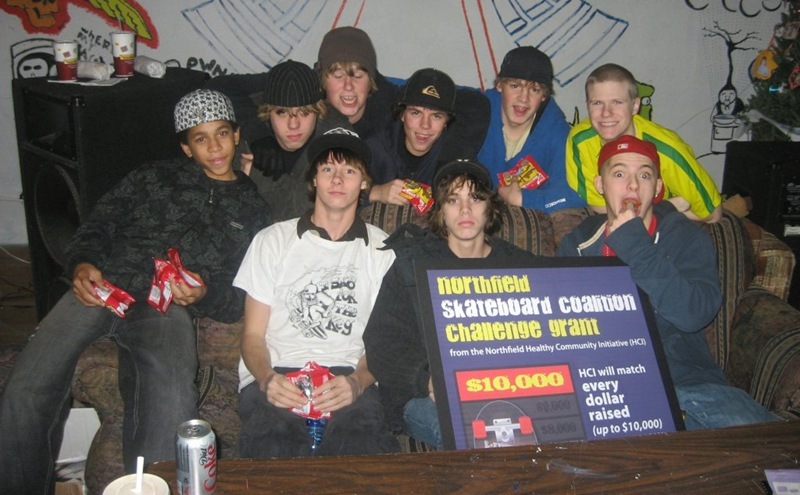 Between now and April 1, 2008, every dollar contributed to the Northfield Skateboard Coalition will be matched by HCI, up to $10,000. Funding for the challenge grant comes from a reserve fund earmarked for special youth engagement projects. More details are available in the Dec. issue of the HCI Newsletter.